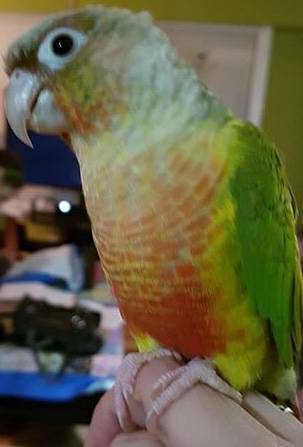 My pineapple conure got out around -118 street and 72 ave.
She is bound to land in someone's yard eventually and I need your help in bringing her home! Please don't startle her, if you see her contact me right away! Modifié en dernier par Diane Labarre le Mer Déc 06, 2017 9:45 pm, modifié 1 fois.